The latest book on my nightstand is The Sound of Red Returning by Sue Duffy. I have not had the pleasure of reading anything by Sue Duffy before this book, but I look forward to reading more by her in the future! The Sound of Red Returning grabbed my interest from the beginning. This is a story about a woman, Leisel Bower, whose mentor turns out to be a double agent for the Soviet Union and the US. Leisel is a famous concert pianist, and her love of music is throughout the story. After the murder of her mentor while in Russia, she is hoping to put her connections to that man and those involved in his murder behind her. Instead, the KGB believe she knows something and track her down to get what they want. This story takes place in current times, but there is a great deal of the book taking you back to her time with family growing up. 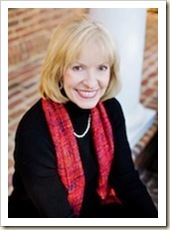 Leisel grew up in Charleston, South Carolina and she spent a great deal of time on the water when she was younger. Flash forward from growing up there with her grandmother, now her grandmother is in a nursing home and a nice young man is renting the apartment in her house. Cade is in town with his grandfather in tow, trying to fix up the house he is renting, that is falling apart around his ears. His grandfather is a delightful cantankerous character you cannot help but love. The two are drawn into the drama as it unfolds around Leisel. There is a great deal of action in this book, suspense and, of course, a sprinkling of romance. You cannot help but love the characters, they are real and could be people you know. The are instantly likeable and you want to keep going along in the journey with them. This book is the first in a series that Sue Duffy is writing, and honestly I cannot wait to see what she does next. I love the twists this book takes. I really enjoyed the tie-ins with the U.S. President and some trips to Israel, as well. I am a sucker for a book that weaves in enough accurate current events, or facts from history that I am reluctant to put the book down! I was very reluctant to put this book down, and sorry to see it end! 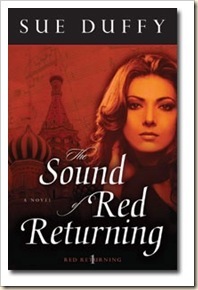 I highly recommend Sue Duffy’s books The Sound of Red Returning for any fiction reader! To read what others are saying about The Sound of Red Returning, check out the schedule of other reviews HERE. Note : I was offered a copy of The Sound of Red Returning, at no cost, in exchange for an honest review, by Kregel Publishers. Janelle, what a nice review. Thank you. It will encourage me as I write the next book. You might like to dig into my first two, Mortal Wounds and Fatal Loyalty. Hopefully, you'll like them as well.